IdentityCard2, originally uploaded by Andy2Boyz. Another blast from the past. 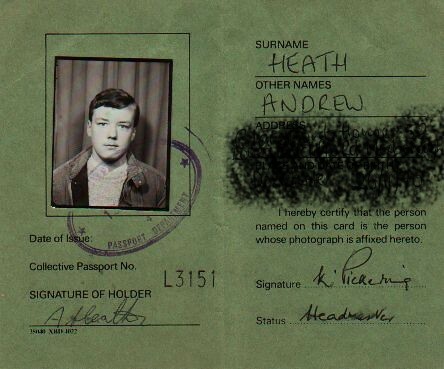 All this Hoo-Haa about identity cards, I had one for our school trip to Germany in 1985ish, and here it is* in all its unsophisticated, un-laminated glory. I still remember that jacket made from ever so stylish gray canvas, I loved it so! I’ll give a small prize** to anyone that can name the brand of hair laquer I was using! Well no one got it, my friend Nick used his Mums Elnette, however I can exclusively reveal that my brand of choice was the very affordable Insette! You are currently browsing the Andy2boyz's Weblog blog archives for September, 2009.